The Thumbprint Mug always comes in handy. Fill it with 12.5 oz. of beer, soda or juice and you've got the perfect accent to a fun moment. 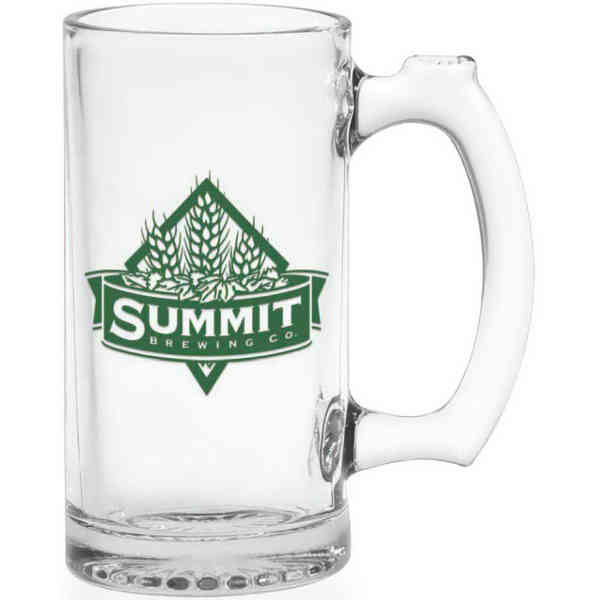 The mug measures 5.5" and the handle is made of glass and is very sturdy. It even has a place to rest your thumb for superior handling. Screen print your logo to the side and let it stand out against the backdrop of a tasty beverage. With each delicious drink your clients are more likely to let others know about you!